The goal of this semester project was to characterize the 3D structure of the endoplasmic reticulum. To achieve this target, the PSF (point spread function) of a PALM microscope has been modeled. By fitting this model on the datas, we extracted informations about the 3D localization of single fluorophores. 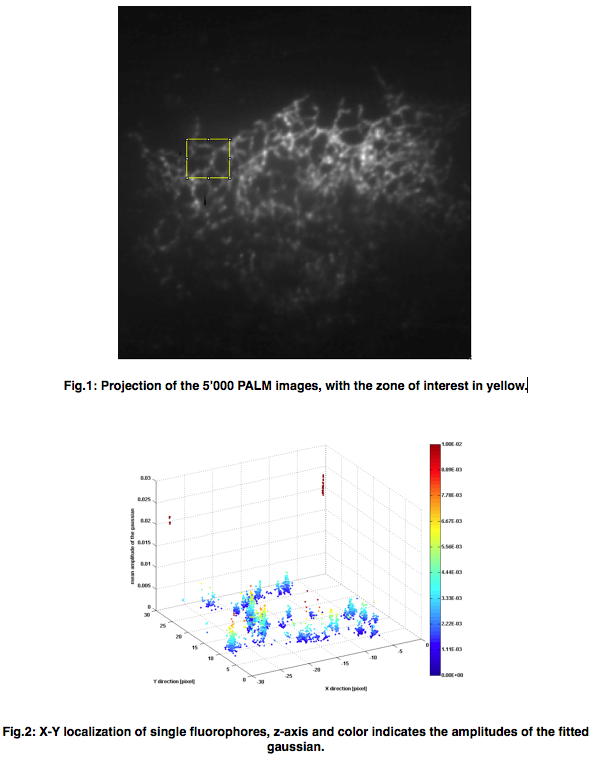 The figure 1 shows the projection of the time sequence (5Õ000 images) obtained by a PALM microscope, the yellow window indicates the zone of interest that has been analyzed. The figure 2 shows single particles localizations inside the zone of interest.